The Britain based brand has seen sales and profit hammered by intense competition from supermarket groups and online retailers in its main UK market as well as by rising costs. 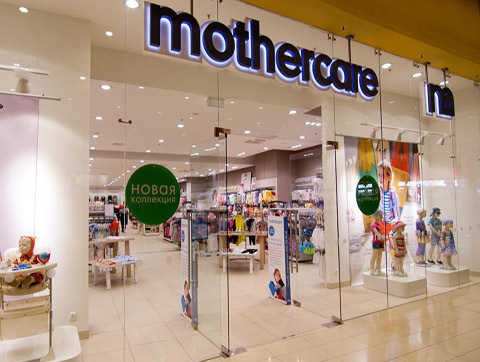 The struggling mother and baby products retailer, Mothercare may seek investors for more money as part of a major restructuring it plans to announce this week. Its shares have lost 86 percent of their value over the last year and in April it replaced Chief Executive Mark Newton-Jones with David Wood, a former Tesco executive. Mothercare said it has been working on a comprehensive restructuring and refinancing package to put the business on a stable and sustainable financial footing. "We are in the final stages of detailing these restructuring plans alongside new committed debt facilities, an underwritten equity issue and access to other sources of capital," it said in a statement. Shares in Mothercare fell 5 percent to 19.1 pence by 0919 GMT, valuing the business at just 32 million pounds ($44 million). Mothercare, which trades from 137 UK stores, said details would be provided on Thursday when it is also scheduled to publish results for the 2017-18 year. The CVA route has already been taken this year by fellow retail laggards - fashion retailer New Look, floor coverings group Carpetright and department store group House of Fraser. ($1 = 0.7365 pounds).